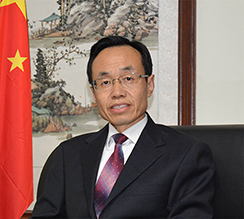 On February 13, Chinese Ambassador to Ghana, H.E. Shi Ting Wang, attended the award ceremony of the Huawei Global ICT Competition in Ghana. More than 200 people attended the ceremony including Minister of Communications, Hon. Ursula Owusu-Ekuful, Minister of State in charge of Tertiary Education, Professor Kwesi Yankah, Deputy Minister of Communications, Hon. George Andah, Vice-Chancellor of the University of Ghana, Prof. Ebenezer Oduro Owusu, awardees as well as teachers, students and representatives from higher education institutions in Ghana. 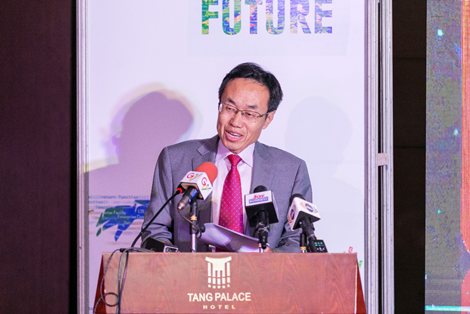 In his speech, Ambassador Wang expressed his warm congratulations to the award-winning students and expressed his appreciation to Huawei for its long-term commitment to training ICT talents in developing countries. He also expressed gratitude to the Ghanaian government for its firm support for the operation of Chinese enterprises in Ghana. Ambassador Wang said that the Chinese government attaches great importance to the development of ICT industry. China and Ghana have cooperated closely in the field of ICT. 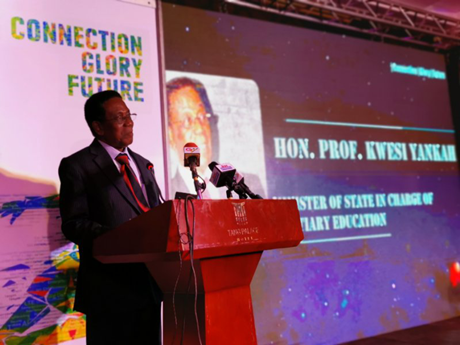 China has helped Ghana to establish a national safety backbone network, an electronic government platform, and a distant education system for colleges and universities, making important contributions to the economic transformation and industrialization of Ghana. Ambassador Wang stressed that Huawei has made remarkable achievements in the fields of ICT technology innovation and development, and provided high-quality information technology products and services to many countries in the world, especially developing countries. Huawei is the pride of the Chinese people! Ambassador Wang believes that most countries in the world will provide a fair, just and non-discriminatory environment for the normal operations of Huawei and other Chinese companies. Hon. Ursula Owusu-Ekuful and Hon. Prof. Yankah happily recalled their visit to Huawei headquarters. The advanced technology, unique innovative ideas, and effective talent management model are so impressive for them. Hon. 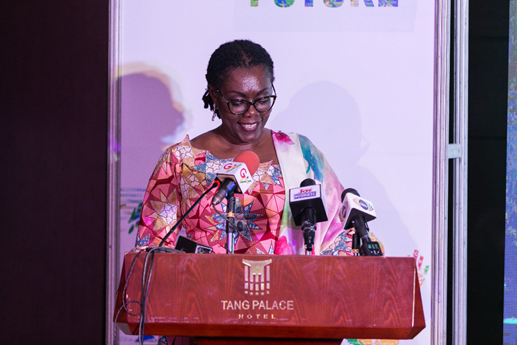 Ursula emphasized that forging Ghana into the ICT Hub in the West African sub-region is one of the key areas of H.E. President Akufo-Addo and an important measure for Ghana to implement the UN Sustainable Development Goals 2030. She thanked the Chinese government and Huawei for their important contributions to the economic and technological development in Ghana. Ghana is willing to work with China to develop the Information Communication Technology (ICT) industry. 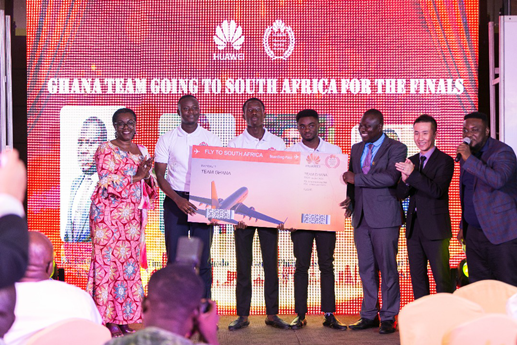 In this competition, 10 Ghanaian students won awards, among which three will represent Ghana in the regional competition of the Huawei Global ICT Competition in South Africa.